Roman AVDEEV, born on July 17, 1967 in Odintsovo, Moscow region, is a Russian Businessman and a philanthropist. He is the owner and chairman of the Board of Directors of the Moscow Credit Bank, and a member of the Board of Directors of Soglasie non-state pension fund. His name has truly become a symbol of success, great business ethics and wealth. 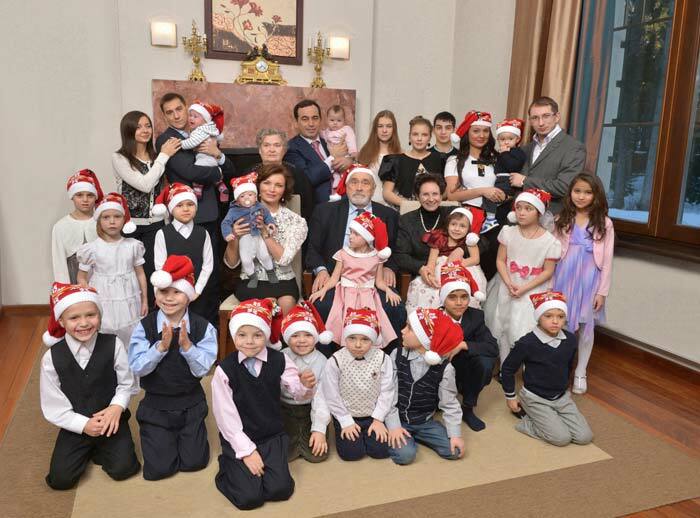 AVDEEV is also a father of a large family. Last year, Forbes recognized him as one of the richest people in Russia (ranks 66thon the list of 200 names) once again, estimating his fortune at $1,300 million. AVDEEV’s aforementioned laurels did not appear in one day, for they are a result of long and hard work, impeccable intelligence, and exceptional enterprise skills. Born in an average Soviet family and an ordinary student, AVDEEV not only served in the army but also worked as a cleaner and a laborer when he needed to feed his family. AVDEEV’s story is not just interesting, but downright inspiring. Birthdate – July 17, 1967. Place of birth, childhood and school years – Odintsovo (Moscow region). In 1984, he joined the Moscow Power Engineering Institute. But he could study only for two years – he was called up for the compulsory military service in the ranks of the Soviet Army. He continued his studies after completing his service. But that was also the time when he already had a family – a wife and a son. Studying full-time, he complemented his daytime lectures with night work as a loader and a cleaner. In 1989, he became one of the first Soviet entrepreneurs by establishing a cooperative store selling parts for TVs. 1994 became one of the most crucial years for the businessman – he became the sole owner of the Moscow Credit Bank by buying the controlling interest in the financial institution. He served as the General Director of the MCB until 2012. In 2016, he founded the Soglasie non-state pension fund and is a member of the Board of Directors of the NPF till date. Moscow Credit Bank, the large, reliable, and authoritative financial institution did not look the same 25 years ago. With only 14 people employed, almost no activities were carried out back then. AVDEEV had various business projects from 1994 to 1996. Some of those projects were more successful than others. In 1996, he decided to leave them for good and invest money MCB’s development. However, it was in the year 2008 when Roman AVDEEV ultimately decided to direct all his resources towards the bank’s development. And thus began a new stage of the life of his business and the financial institution. Four years later, the MCB, after raising funds from the IFC and EBRD, made it into the list of Top 20 Banks by assets. MCB became one of the ten most successful and largest banks in the Russian Federation in 2016. This was also the year when the institution was recognized as the largest private regional commercial bank in Russia. AVDEEV drove his bank from an institution that worked only in papers to the largest successful financial organization in a course of 25 years. 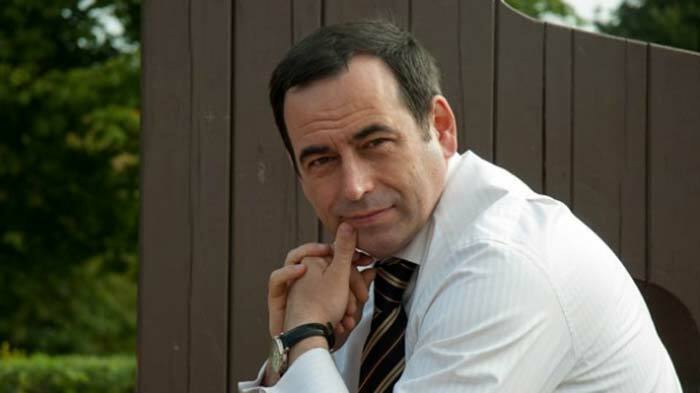 Roman AVDEEV is not only a successful businessman but also a major supporter of sports. Being a football (soccer) fan himself, AVDEEV included sports in a separate line in the list of those whom the MCB helps. MCB signed a special sponsorship contract with the Russian Football Union in 2014. Since then, the bank is the primary sponsor of all Russian football teams in general and the respective national team in particular. In the same context, the extent of support that AVDEEV provided to the amateur football in Russia is also a remarkable feat. Recalling the Confederations Cup that took place in the Russian capital in 2017, AVDEEV organized and conducted several backyard football championships with the help of his another asset (Ingrid Developers company) and Moscow’s football clubs. And that is not all; AVDEEV himself has organized a number of charity track races. It all started with an economic forum in St. Petersburg in 2016. Roman AVDEEV decided to organize a charitable race and spent all the money raised during this event on children left without parental care. The businessman simply wrote about it on his social network page. His idea was supported by a little less than 200 people, but that number included very famous and influential people. Roman AVDEEV organized and conducted the next sponsored race last summer, and the X-factor of this race was that it was held at night. The track and field event also attracted a large number of participants. Roman AVDEEV is not only a successful businessman but also a major sponsor. The sports theme is indicated in a separate line in the list of those whom the MCB helps. Apart from the massive empire that Roman AVDEEV has built, his simple, specific and thought-provoking life principles also make him a remarkable personality. As a matter of fact, many people have found AVDEEV’s life principles to useful in their own lives too! Either way, there is much to learn from AVDEEV, and not only in terms of entrepreneurship. AVDEEV is sure that coincidences and good luck will help succeed at some point, but till then, hard work and diligence are the driving forces that get things done. 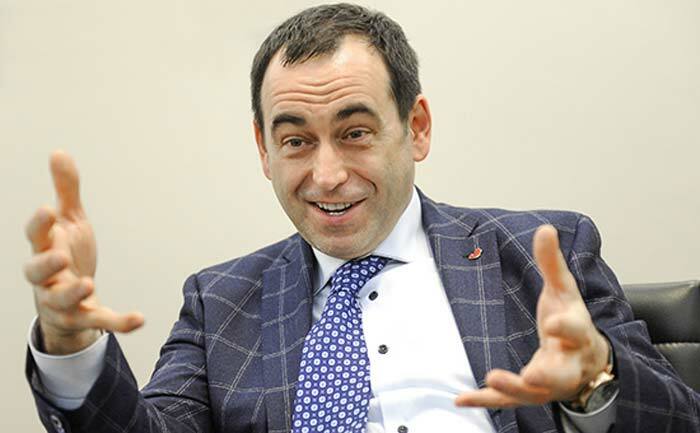 AVDEEV’s attitude to business and banking is interesting not only from the economist and top manager’s perspective but also in terms of life stance. The owner of the MCB finds banking business boring, but that doesn’t change the fact that he gets up in the morning and carries out his duties honestly and with due diligence. AVDEEV further believes that earning money and enriching cannot be the meaning and purpose of life. For him, money is only a means to create something good. That’s why we need money, but not in order to devote our lives and in particular our best years to earn it. The owner of the MCB is sure that a chance event or good luck will help to succeed, including in business. But in most cases, you need to work hard and diligently every day to get anything you want in life. AVDEEV has been helping orphanages financially, like many other businessmen. But, he has his own opinion on charity. He has always understood that support for children left without parental care should be somewhat different. You can endlessly invest in special children’s institutions, renovate them according to European standards, install plastic windows, and buy clothes, books, sweets. But this help is soulless in its way. And it won’t replace their parents. The founder of the MCB created the Arithmetic of Good charity fund in 2014. The main objective of the fund: orphans should not differ from their peers, and ideally, they should be brought up in nuclear families. Arithmetic of Good has several targeted programs aimed specifically at realizing this mission. Specialists of the fund conduct remote online training for orphans, help graduates of orphanages adapt to everyday life, prepare potential foster parents in the School of Foster Parents, accompany foster families, and provide them with psychological and legal support. Like many businessmen, AVDEEV has been helping orphanages financially for a long time. But he has always understood that support for children left without parental care should be somewhat different. The success story of the MCB beneficiary will be incomplete without his personal life. Roman AVDEEV has been happily married to his wife Elena for many years. And the couple has (attention!) 23 children! Four of them are their own, biological children, the rest are adopted. AVDEEV disapproves this notion, saying that they do not distinguish between “their own” and “adopted” daughters and sons. “They are all truly our own,” Roman AVDEEV said many times in his interviews to various publications and TV channels. The businessman himself admits that the idea of helping children who grow up without moms and dads appeared when he felt comfortable with his income. He started with the usual, visiting orphanages, buying clothes for orphans, transferring money to these institutions. Then he realized that he and his wife could do much more. AVDEEV and Elena adopted the first child almost 20 years ago. Eventually, one by one, they took 19 children; some of them were adopted when they were very infants. Quality upbringing and education of children is another important topic for AVDEEV. Russian-speaking educators and teachers, foreign teachers and tutors – the businessman is ready to invest money in everything to raise his heirs to be decent people. Perhaps, another very interesting chapter of the biography of the MCB beneficiary, no less interesting than the one related to business, is the one describing his personal life. Roman AVDEEV has been happily married to his wife Elena for many years. And the couple has (attention!) 23 children! Heritage? No, let them achieve everything on their own! Contrary to the most of the other businessmen and influential people of Russia, AVDEEV’s opinion on the heritage is also atypical. As strange as it may sound, but the businessman is not going to divide his life’s earnings between his children. He is sure that his children must achieve everything on their own. Speaking of achieving things on their own, AVDEEV’s eldest sons are working for the MCB. And they are not just on the payroll, they really work. They do not occupy any senior positions – they are almost ordinary employees, just the way other people who would be hired if they came to apply for a job in the bank. Roman AVDEEV helps his children both morally (he always talks with them, if necessary, advises how to act in this or that situation) and financially. He believes spending money for kids’ education is the best investment. And that’s all he does for them, he says that getting everything in platter will spoil his children, and they won’t become good and decent people. Therefore, the younger AVDEEVs achieve everything and make money on their own. Just like their father. 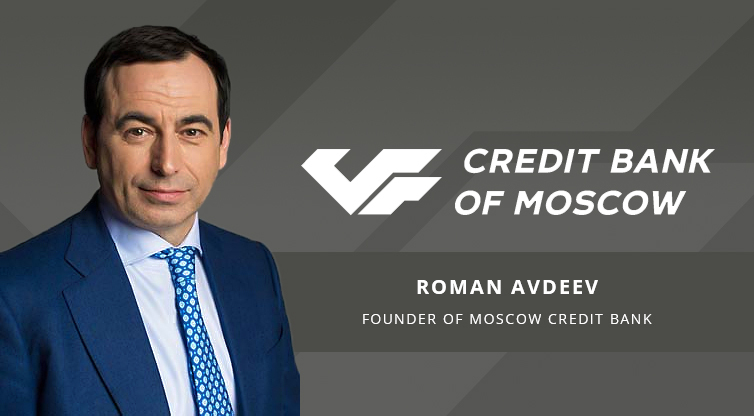 Roman AVDEEV arouses interest not only by being a successful businessman who has gained his capital from scratch. He has very specific and interesting life principles that could be useful for many people. Either way, there’s much to learn from AVDEEV, and not only in terms of entrepreneurship.